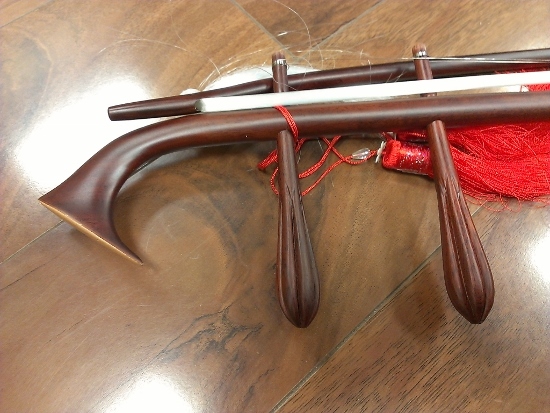 This is a professional grade dan nhi made by well-respected Vietnamese instrument maker Thanh of Saigon. 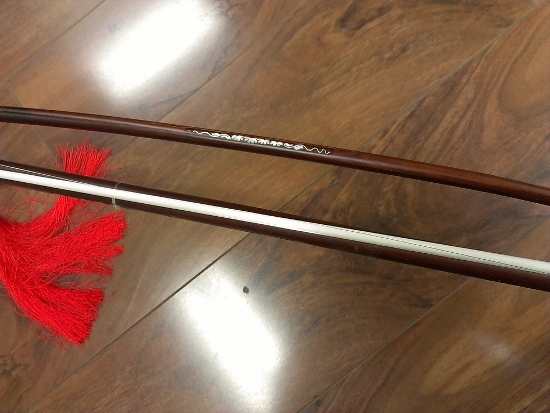 The instrument is made with the best grade cam lai barian kingwood body and quality snake skin. 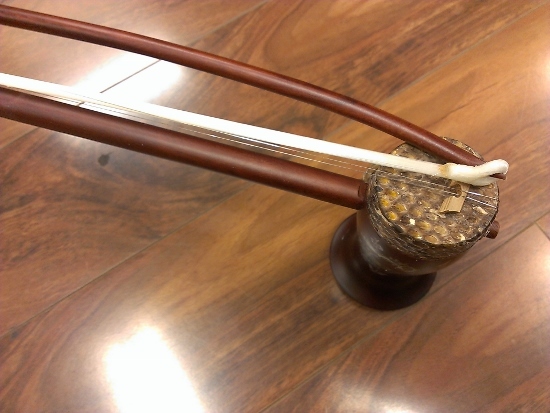 It is decorated with mother-of-pearl inlay. 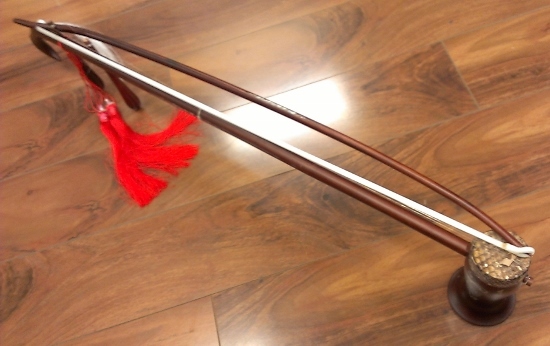 Please take a look at the nice wood and the inlay. 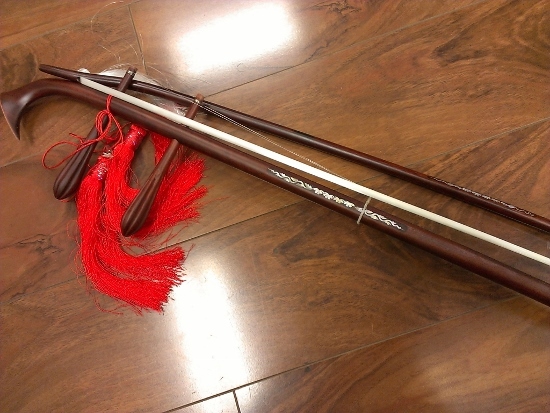 The instrument itself is a beautiful piece of Vietnamese art. 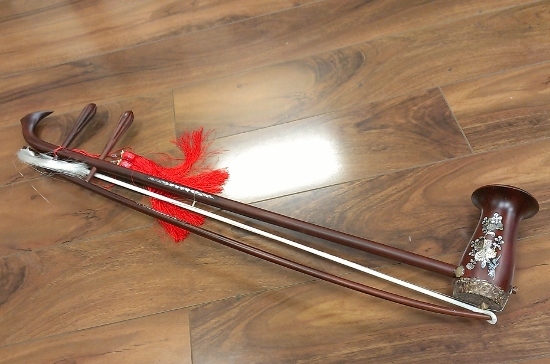 It comes with bridge, a bow, spare strings, and a soft carrying case.